The Jazz Arts Group of Columbus (JAG) is looking for Ohio’s finest young musicians to participate in the eleventh annual Hank Marr High School Jazz Award. This award demonstrates excellence in musicianship and performance amongst central Ohio’s young students of jazz. The grand prize winner will be awarded the opportunity to perform as a guest soloist with the Columbus Jazz Orchestra at the JazZoo! concert on August 2, 2013; a $500 cash prize; and eight Jamey Aebersold books. Two runners-up will receive eight Jamey Aebersold books, four to keep and four to give to their school music program. All Ohio students, grades 9 – 12, are eligible to apply. The audition submission deadline is March 29. Finalists will be selected by April 26 and final auditions will take place May 11 at 11:00 a.m. at the Jazz Academy, located in the Lincoln Theatre complex at 769 E. Long Street, Columbus, Ohio. 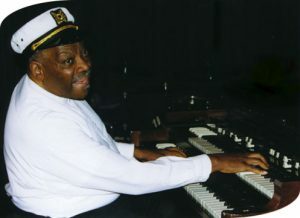 Columbus musical legend Hank Marr was one of the world’s masters of the Hammond B-3 organ. Along with Hank’s celebrity status as a member of the jazz elite, he was a dedicated and gifted educator. In recognition of over fifty years as a performer, teacher, arranger and conductor, the Jazz Arts Group established the Hank Marr High School Jazz Award as a tribute to this special individual. His willingness to “pass it on” makes the encouragement of young jazz artists an important and meaningful activity. Please visit www.jazzartsgroup.org for submission details and requirements. Individuals who have won the Hank Marr High School Jazz Award within the past two years are NOT eligible to apply. Next post: Ken Messer & the Phoenix Project CD Release Party for "Tsunami"